We have been manufacturing and distributing chemicals to the industrial market for over 30 years. Our team is committed to addressing your needs through our dedicated resources and market knowledge. 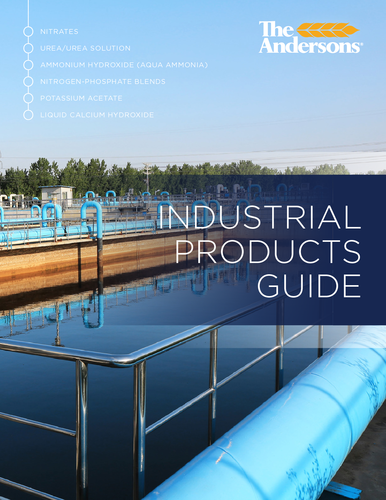 We offer a wide range of liquid and dry industrial products for a variety of applications, from grounds maintenance to airport runways. 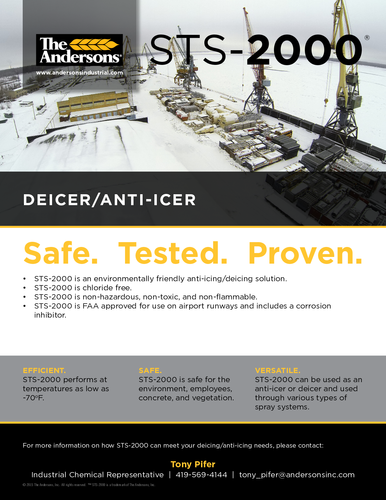 STS-2000 runway deicer is environmentally friendly, efficient, safe, and versatile. It performs at temperatures as low as -70o. We custom blend, package, distribute, and inventory a variety of industrial products for quick and convenient delivery. Product Spotlight: STS-2000 is environmentally friendly, efficient, safe, and versatile. As a runway anti-icer, it performs at temperatures as low as -70oF.